Everett E. Johnson resided in the small township of Koszta, Iowa, just outside of Belle Plaine. He was the second of six children born to Clarence and Lanie Johnson. His father worked as a farmer before Iowa County hired him to maintain roads. While attending school, Everett also worked as a farm hand in his teenage years. Everett enjoyed spending his free time sharing his talent for music by performing with his friends and as a member of the choir at his local church. Before enlisting in 1941, Everett Johnson worked as a mechanic at Malcolm’s garage in Belle Plaine. Funks Brothers Seed Company was located in the small town of Belle Plaine. The company raised hybrid seed corn. Once the war began and many of the men either enlisted or were drafted, the jobs in the field at Funks Seed Brothers Company were left unfilled. As a result, the women of Belle Plaine stepped up to fill those positions and were placed out in the field detasseling corn. In addition to women stepping up to fill men's roles, the community of Belle Plaine also contributed to the war effort. Scrap drives collected metal for war production, and a World War I British artillery piece, that was previously in the city park as a memorial, was given to the war effort. Just like the rest of the United States, Belle Plaine was no stranger to rations and war bonds. The 782nd Tank Battalion was formed on February 1, 1943 at Camp Campbell, Kentucky. The men began their Basic Training as a Light Tank Battalion until they became a Medium Tank Battalion in October 1943. In November, the battalion moved to Camp Forrest, Tennessee where they practiced maneuvers and worked alongside other outfits such as the 35th, 87th, and 100th Infantry Divisions before being moved once again for training at Fort Knox, Kentucky and then Fort Bragg, North Carolina. The battalion transferred once more to Camp Cooke, California, where they took part in amphibious training directed by the U.S. Navy and Marine Corps. All of their training thus far, had indicated they would be sent to the Pacific Theater for battle. In addition to their serious training, the battalion was filmed for the motion picture Counter-Attack by Columbia Pictures Corporation. After training in California, the battalion loaded up once more and traveled back east to Camp Kilmer, New Jersey where they arrived on Christmas Day 1944. Shortly after, on January 1, 1945, the battalion boarded the USS Henry Gibbons set for Le Harve. This was the first troop transport ship to travel directly from the United States to the country of France. The men were on this ship for two weeks and the rough seas led to sea sickness among many of the men. The ship dropped anchor in the mouth of the Seine River on January 16, 1945. After taking their first steps on French soil the soldiers boarded a French train. It was made up of antiquated box cars used during World War I. These box cars were known as 40 and 8’s as they were capable of holding 40 men and 8 horses. The train was headed 40 miles north from Le Havre towards Saint-Valery-en-Caux where the battalion would be stationed at Camp Lucky Strike. The conductor of the train was unfamiliar with the particular section of line they were traveling, and as they approached the station the brakes were applied too late. The train crashed directly into the station which was a dead end. Several of the cars piled on top of the station, while others jumped the track and ended up in a crumbled heap. The tragic accident took the lives of three officers and 51 enlisted men, and left five officers and 29 enlisted men in the hospital for their injuries. Technical Sergeant Johnson was among those killed in the train crash at Le Havre. Johnson’s remains were buried alongside others of the 782nd Tank Battalion who perished in the crash in a temporary cemetery in Saint-André. His father, Clarence Johnson, received notice of his son’s death on February 5, 1945. 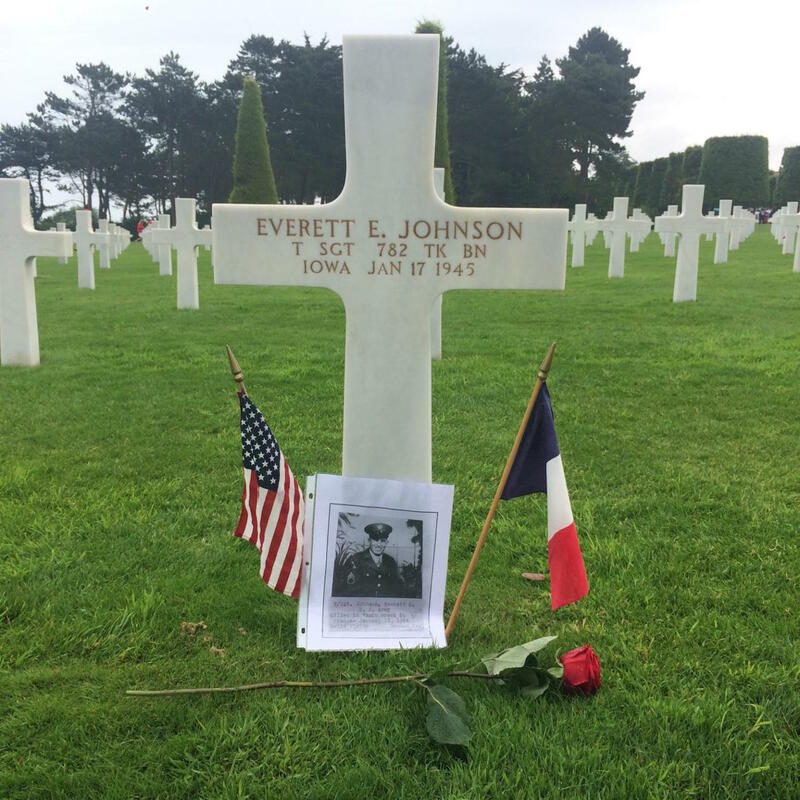 Clarence decided to have his son permanently buried in France and therefore Johnson’s body was transferred to the Normandy American Cemetery on September 14, 1948. He made the ultimate sacrifice and is resting peacefully today side by side with others who also gave everything for the freedom of our country. Believing a train ride was simply the next leg in his military journey he boarded the train with the 782nd Tank Battalion without the slightest clue of what lie ahead. Technical Sergeant Everett E. Johnson was a dedicated soldier eager to fight for his country and its freedom, but who died tragically before receiving this opportunity. Through his work experiences, Everett gained numerous skills he would utilize later as a Technical Sergeant in the military. In addition to his occupations, Johnson also found time to share his talents and passion for music and ministry with both his community and church. Everett and his friends hosted parties wherein they supplied the musical entertainment. On several occasions it was reported that “fun was had by all” in the local newspaper, The Belle Plaine Union. 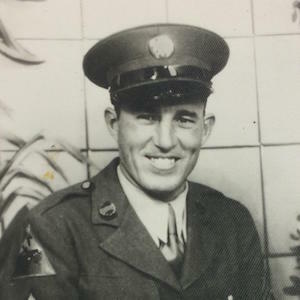 Johnson enlisted in the U.S. Army in January 1941 and was initially stationed at Fort Snelling, Minnesota before moving to a camp in Louisiana in 1942 for training. 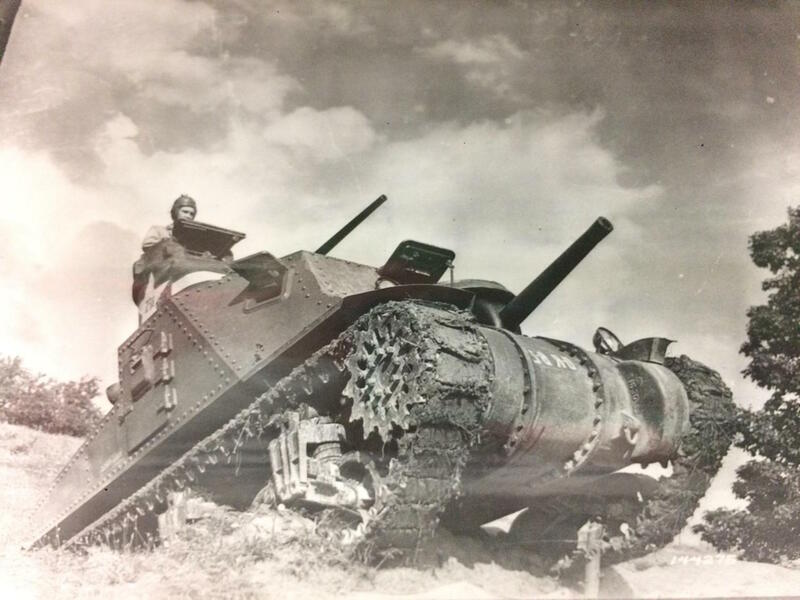 In 1943, he was assigned to the 782nd Tank Battalion as a Technical Sergeant and the group began their training. They were stationed in Kentucky, North Carolina, Tennessee, and California where they received specific training that would prepare them for the impending battle overseas. Everett and the 782nd Tank Battalion were finally called to active duty in January of 1945 to fight the enemy in the Battle of the Bulge. They crossed the English Channel on the USS Harry Gibbons transport ship which was the first convoy to travel directly from the United States to France. The ship arrived in Le Havre on January 16, 1945. They waited into the night to disembark the ship and once on land they quickly boarded an antiquated rail train to travel closer to the staging area. All staging areas were named after cigarette brands and Technical Sergeant Johnson would settle temporarily at Camp Lucky Strike just outside of Saint-Valery-en-Caux, France. The train was made up of 45 cars capable of holding 40 men and 8 horses, 24 wooden cars, and 21 steel cars. Technical Sergeant Johnson and the 782nd Tank Battalion along with other troops all boarded the rail cars, and the train started a slow journey to Saint-Valery-en-Caux. Unbeknownst to many, the train had no speedometer, no speed recorder, poorly functioning brakes, and a crew that was unfamiliar with the land grade between Saint-Vaast and Saint-Valery-en-Caux. The train having initially traveled only 10-15 miles per hour through the night began to travel faster as day broke and the sun came out. As the train descended into Saint-Valery-en-Caux – the crew realized that the brakes were not going to hold out and allow them to arrive safely at the station which was the train terminal and therefore a dead end. They blew the warning whistle but it was too late. The initial cars ran through the empty train station going right out the other side, one car fell into the basement of the station, and many of the remaining cars crumpled on top of each other. 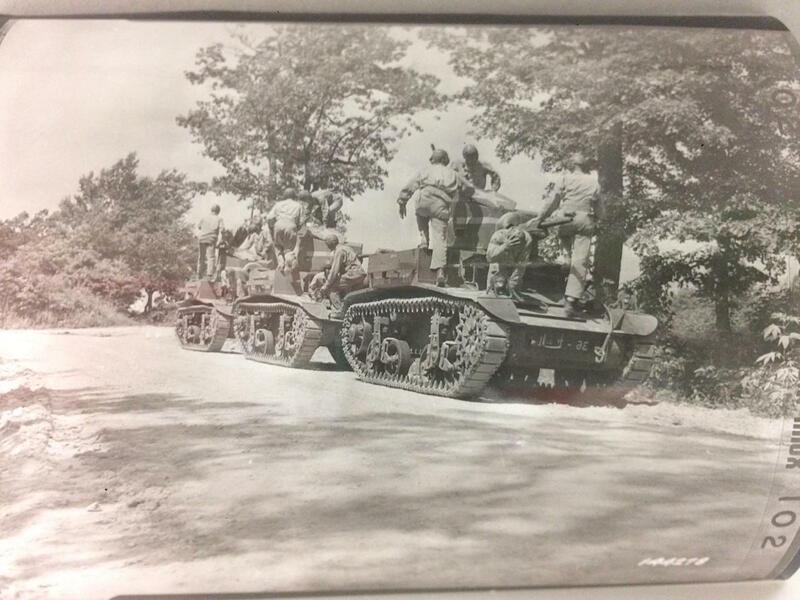 Each of these cars was carrying troops – including the 782nd Tank Battalion. 152 soldiers were wounded and 89 died, including Technical Sergeant Johnson. Technical Sergeant Everett Johnson made the ultimate sacrifice to ensure freedom for his family, his country, and for future generations. Though his life was cut short he used what time he had to make a meaningful impact, the memory of the sacrifice which he willingly offered to the cause of freedom will never be forgotten. Thank you Technical Sergeant Everett E. Johnson. The Normandy: Sacrifice for FreedomⓇ Albert H. Small Student and Teacher Institute allowed fifteen student/teacher teams to travel to France to experience first hand the history of World War II in Normandy. While in Normandy we were immersed in history by visiting numerous cemeteries, beaches, military museums, and churches. We were touched deeply by all of these places, but found the Normandy American Cemetery and Pointe du Hoc to be the most significant in our educational journey. The Normandy American Cemetery was a massive memorial to the thousands of soldiers who lost their lives to protect our freedoms. It was overwhelming to see the grave sites of all the men and women whose lives were ended after they had really just begun. We felt honored and humbled to learn the personal stories of fifteen Silent Heroes while at the cemetery. Hearing the stories helped us to better understand that these people were not just soldiers but were real people who had lived real lives. These dedicated service men and women left families and careers behind to fight for people they did not even know. It was an honor to see all of the grave sites at the Normandy American Cemetery and even a bigger honor to bring voices to our Silent Heroes to ensure that they are never forgotten. Pointe du Hoc was the prominent cliff top location secured by the Germans located between Utah and Omaha Beaches. It was inspiring and breathtaking to see the 100 foot high cliffs that the Rangers were forced to scale in order to defeat our enemies. The shattered remains and lunar landscape are an amazing site to see. Pointe du Hoc serves as a constant and eternal reminder of the bravery and dedication the Allied forces exhibited during the war. The Belle Plaine (Iowa) Union. “Koszta.” February 4, 1937. The Belle Plaine (Iowa) Union. “Koszta.” June 29, 1921. The Belle Plaine (Iowa) Union. “Koszta.” January 19, 1933. The Belle Plaine (Iowa) Union. “Koszta.” January 26, 1933. Crews of a light tank platoon “mounting up.” Note that they have committed one of the first rules of tank warfare-never bunch up. Photograph. 1942. National Archives and Records Administration (144278). Image. Eustice, Russell. The Train Wreck at Saint Valery. 2001. Everett E. Johnson, Individual Deceased Personnel File, Department of the Army. Iowa. Iowa County. 1910 U.S. Census. Digital Images. http://ancestry.com. Iowa. Iowa County. 1920 U.S. Census. Digital Images. http://ancestry.com. Iowa. Iowa County. 1930 U.S. Census. Digital Images. http://ancestry.com. Iowa. Iowa County. 1940 U.S. Census. Digital Images. http://ancestry.com. N-3 tank (medium) surmount a barrier by pioneering a small rise in terrain. Demonstration of equipment and men from the Demonstration Reg., Armories Force School. Demonstration was to show the affect different type of barriers had on tanks. Photograph. 1942. National Archives and Records Administration (144276). Image. 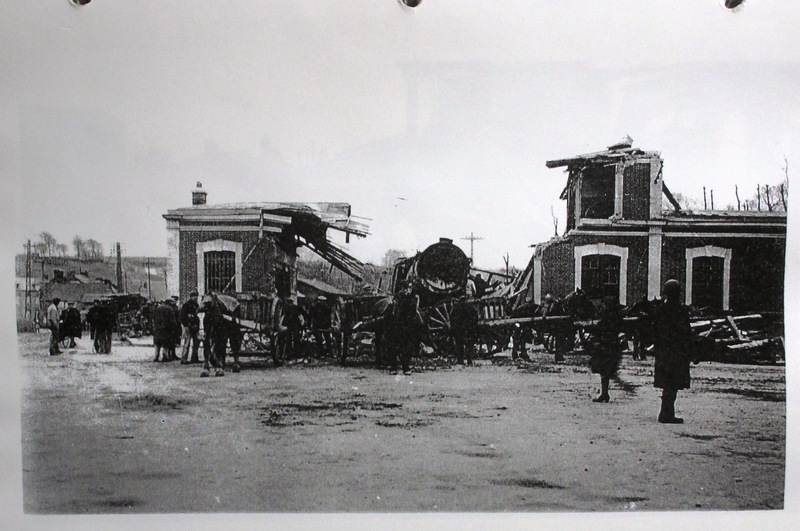 The train station in Saint-Valery-en-Caux following the January 17, 1945 crash. Photograph. January 1945. Library of Congress (Lot 5215). Image. “Everett E. Johnson.” American Battle Monuments Commission. Accessed February 12, 2017. Malcolm, Mitch. “History of Belle Plaine.” Belle Plaine Area Museum. Last modified 2012. Accessed March 5, 2017. http://www.bpiowahistory.com/index.php?id=history-of-belle-plaine. U.S. Army. 782nd Tank Battalion. 1945. Bangor Public Library. http://digicom.bpl.lib.me.us/ww_reg_his/9.